Garrison Commander Col. G. Scott Taylor cuts the ribbon on the new waste water line at the Fort Irwin RV Park. 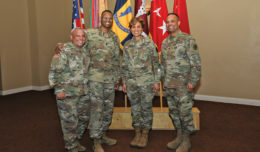 Left to right: Muhammad Bari, director of DPW; Marion Taylor, director FMWR; Taylor; Command Sgt. Maj. Daniel O’Brien, Garrison Command Sergeant Major; and Chris Woodruff, DPW Environmental Engineer. 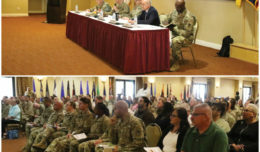 The U.S. Army Garrison Command Team celebrated the beginning of a new construction project that will eventually lead to an improved camping experience at the recreational vehicle park at Fort Irwin, Calif. The full project will add 59 new RV spaces, more than doubling the size of the park. Other amenities included in the $7 mil project include a comfort station, a registration booth, a propane filling station, as well as improvements to the existing 50 RV camping spaces. The project is needed to expand and renovate the existing RV Park. Currently the park is too small for the demand. 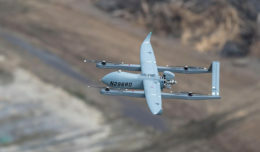 The end result is an expanded, modern park that will meet the needs of Soldiers, families, retirees and other patrons authorized to use the facility. 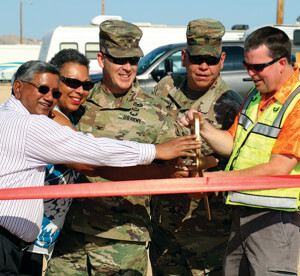 Garrison Commander Col. G. Scott Taylor cut the ribbon on the first phase of the improvement project, a new waste water line. Previously, customers at the RV Park had to wait for a waste removal truck to come around and drain the tanks on each RV.